The Cidade Maravilhosa (Marvellous City) - Brazil's most popular City is home to the largest carnival on Earth, the world-famous Copacabana Beach and the iconic Christ the Redeemer statue, which stands tall on top of Corcovado Mountain. The 2016 Olympic host City was given its name by Portuguese voyagers who sailed into Guanabara Bay on the 1st of January 1502. Want to know more about this mysterious City? Check out our 10 Things you Never Knew About Rio de Janeiro. Start planning your trip to Rio de Janeiro today! Use our hotel deal finder to book cheap, discounted hotels in Copacabana, Ipanema, Leblon, Lagoa, Lapa, Urca, Botafogo and Barra da Tijuca - then fill your travel itinerary by scrolling through our photo guides to get holiday ideas, vacation inspiration, budget travel tips and a list of the best tours, tourist attractions and fun things to do in Rio de Janeiro. 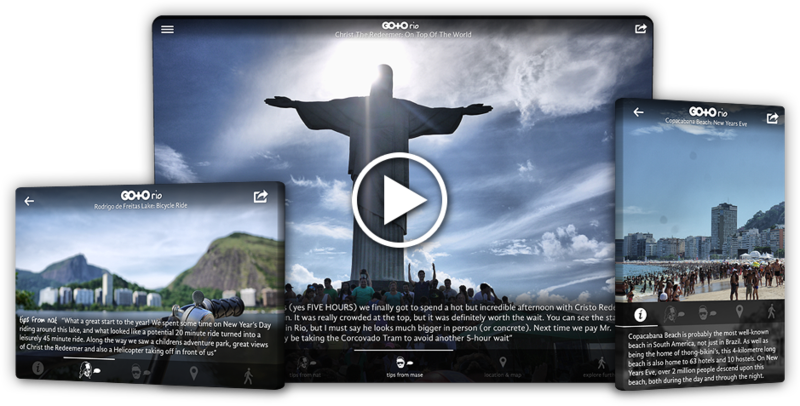 Christ The Redeemer: The 5-Hour Wait !! On a very hot day in Rio, we decided to take a trip to see the Christ the Redeemer statue. However, we didn't plan our day very well. It took us FIVE HOURS to reach the summit of Corcovado Mountain to the statue. It was definitely worth it once we reached the top - no regrets. Download our free app if you're going to Rio, you need some top travel tips, plenty of tour booking options and you don't want to make the same mistakes that we made!